As we pointed out last week with a bit of help from The Onion: bones are cool. 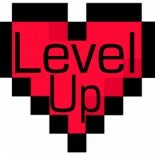 We at Level Up maintain our position on this issue, and earnestly hope that you are doing your part to keep your bone mass and density at healthy levels through proper nutrition and regular exercise. However, muscles are also very cool. Indeed, they are the necessary element in getting those cool bones to move around and do the awesome stuff we like to do. Anatomy is a rich and complex science, and is a good field to study if you are interested in the isolated mechanical components of the body as well as the integrated functional units and systems that are at work within us every day. For those of us who don’t have a ton of time to crack open the anatomy books or google search every body part we think is cool (admittedly, I totally do this), I think it is a good practice to at least familiarize ourselves with the details regarding one muscle each week, as well as some movements and exercises that can be used to strengthen and stretch that muscle. 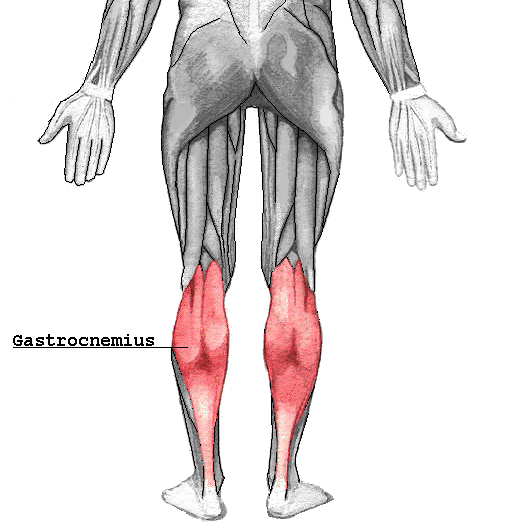 This week, we’ll look at the Gastrocnemius! It is a two-headed (that means it has two origin points, not that it is a mythical monster) superficial (that means that it is close to the surface of the body, not that it lacks emotional depth) bipennate muscle that forms a common tendon with the soleus muscle (more on that another week) and inserts at the posterior surface of the calcaneus (heel). It’s primary functions are planar-flexion and flexing the leg at the knee joint. Important stuff for mobility whether you are an athlete or just walking to the store! 1. Stand facing a wall or stable object. 2. Extend one leg back, keeping the knee and foot straight and the back heel on the floor. 4. Keep rear foot flat, with foot pointed straight ahead. 5. Bend arms and lean forward towards the wall (or stable object). Keep the gluteal muscles and quadriceps tight and the heel on the ground. 6. Hold for 30 seconds. That last bit is important because you need to allow enough time for the stretch to stimulate your golgi tendon organ to produce an inhibitory effect on the muscle spindles, thus relaxing and elongating the tissue. I hope this has been helpful, and that you think muscles are cool too! Stay tuned for some great gastrocnemius strengthening techniques! Reblogged this on Richs Kickboxing Training. This entry was posted on February 5, 2014 by Burning Monk in Anatomy, Everyday Exercise, Stability, Strength and tagged anatomy, flexibility, gastrocnemius, muscle, strength, stretch.